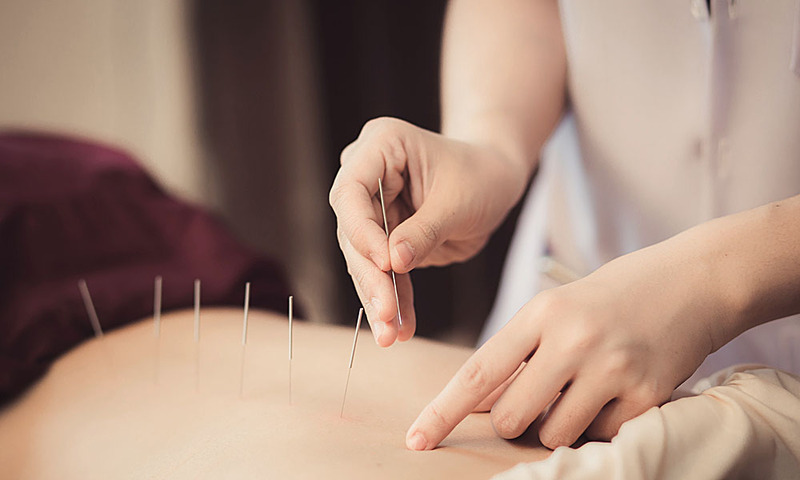 Chinese herbal medicine originated in China many thousands of years ago. When the Ma Wang Dui tombs were opened in 1976 much evidence of the practice of Chinese medicine, including herbs, was also unearthed. This tomb has been dated at 168BC and the information recorded on silk appears to have been composed before the end of the 3rd century BC! Over 250 medicinal substances are named, including herbaceous and woody substances, grains, legumes, fruits, vegetables, animal parts, minerals, and even human derived substances! In 1596AD the Grand Materia Medica by Li Shi-Zhen contained 1,892 substances. By 1977 the Encyclopaedia of Traditional chinese Medicinal Substances had 5,767 entries! An old but very successful school of herbal medicine is known as Jing Fang. This school started with Zhang Zhong Jing (150-219AD). There are currently 42 lineages practising Fang Jing in China. One of the most renowned comes from Professor Hu Xi Shu, and has passed to Dr Feng Shi Lun then to Dr Suzanne Robidoux. Jing Fang is the Six Syndromes lineage and uses symptoms as the key to identifying the syndrome presenting in the patient. Once the symptoms have been translated into the language of the 8 guiding principles, the syndrome will tell us the type of pathogens that are present and the location of those pathogens. We can also deduce if we need to treat an excess or deficient syndrome, or a combination of excess and deficiency on different depths of the body. Once the syndrome is clarified it is possible to identify the presenting herbal formula pattern and its modifications. In December 2017, I began my training under Dr Robidoux in this great system of herbal medicine. Unlike many Western medications, Jing Fang herbal formulas protect the Spleen and Stomach. A lot of medications are very cold in their action inside the body. This damages the effectiveness of the digestive and immune systems and has flow on effects to many new problems often requiring more medications to manage them. In Chinese Medicine your Stomach is the cooking pot and your Spleen is the fire under the pot. A healthy Spleen and Stomach means the pot turns over nicely, breaking down the food and drink you consume to make your Qi (energy) and blood. When this mechanism is hampered by medications, poor diet, stress, or overeating then your health and well being will start to diminish. Jing Fang formulas nurture this mechanism while dealing with presenting signs and symptoms. In fact, Jing Fang formulas can assist medications to do their required jobs. Side effects are minimal and generally only come about if your diagnosis and the corresponding formula is not accurate. 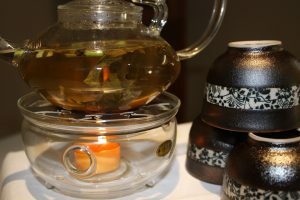 The upside is that stopping the herbs will also stop the any unwanted side effects. Of course, herbs are much more like food than they are to Western medications. Medications can change the body’s functions straight away. Herbs take time, nurturing the body into a place where it is strong enough to deal with signs and symptoms. So what do individual herbs do? 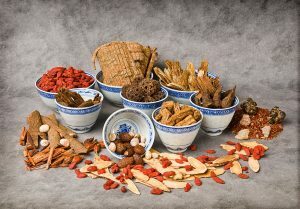 All the herbs have multiple functions on the body for example Gan Cao (licorice) strongly boosts body fluids, Da Zao (Chinese date) tonifies Qi, strengthens the stomach, nourishes blood and treats heart palpitations, while Gui Zhi (cinnamon twig) subdues cough, dizziness, insomnia, and treats exterior syndromes causing painful arthritis. When combined into formulas the herbs work synergistically to treat the presenting signs and symptoms. For example, Gui Zhi Gan Cao Tang (Cinnamon Twig and Licorice Tea) is used to treat acute and chronic palpitations under the heart with the presence of pressure and spontaneous sweating, chest pain, heart attack, panic attack. These are some pretty serious signs and symptoms yet it is treated with the simple combination of two herbs in a 2:1 ratio.